THE LANGSTONE CLIFF NOV 2015!! As some of you know we have just returned back from our weekend away to The Langstone Cliff Hotel in Dawlish. What a weekend!!!!! These weekends take months and months to plan and they go by so quickly, i just don't know where the time goes, I totally get the saying ..... "Time flies by when you're having fun"!!!! The hotel most certainly did not let us down, the accommodation was beautiful, the staff are just amazing and the food ......... well I best be getting back on my diet pretty quickly!!! So a BIG MASSIVE THANK YOU to The Langstone Cliff. The weekend kicked off with an Early Bird Workshop, where we re-capped some of the latest dances taught in class and also re-vived the dance "Black & Gold" by Teresa & Vera. Some peeps had already done the dance in the past but some hadn't and it was taught as our social on the night had a Black & Gold Theme to it. During the social we had a game of dance bingo, with a colour related theme. Congratulations to Dawn Williams who won!!!! We also had a Retro hour. Where we danced all the classics from time gone by. It's now becoming a little bit of a tradition, that we play Irish Bingo at some point over the weekend and congratulations to Diane Lee who scooped up a lovely £88 from it!!! The evening finished at 1am, and off to bed we went with only a few hours sleep before we started again on Saturday morning. BETTER WHEN I'M DANCING (Click on the title of the dance and it will take you to the step sheet). A great 64 count, 2 wall dance with only one small tag & restart. The music is of the same title by Meghan Trainor and the dance is choreographed by Julia Wetzel. PLEASE ME. A lovely west coast style of dance with 64 counts, 4 wall dance with a bridge and restart to a great track by Rod Stewart. Choreographed by Dee Musk & Kate Sala. SECOND HAND HEART. Another great dance by Maggie G. A little trickier than the others but defeniately worth doing. A 64 count, 4 wall dance with just one retstart to a great track from Ben Haenow and Kelly Clarkson with the same title. Coming back to when I said "Well some of us"!!! A small group of ladies (you know who you are!!!) Decided to go out for the day shopping, whilst out they had a little workshop of their own!!!! To my shock but of pure delight and proudness!!!! There is a video going viral of them teaching the Electric Slide to a policeman on a train platform!!!! (PRICELESS!!!!!) Plus another video of them teaching another group of people on a pub crawl!!! Ladies I LOVE YOU!!!! The night started again with a lovely meal where we all sat down and enjoyed each others company and it always gives me great pleaseure to hear you all singing along to the background play list that I set up!!!!! 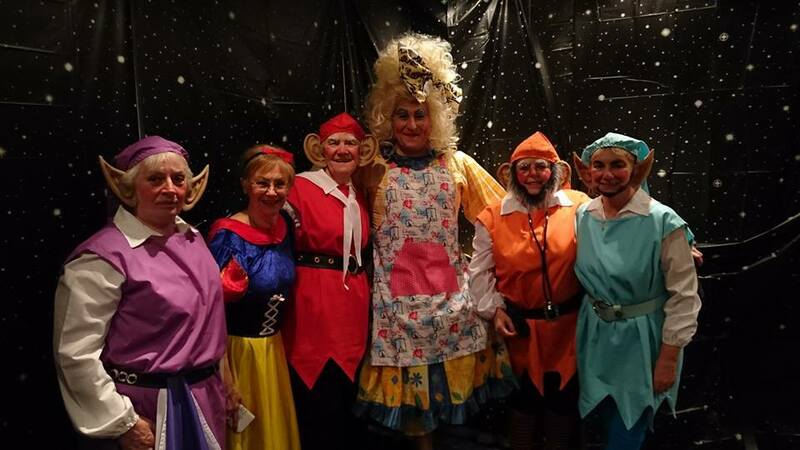 As always the evening had a theme and this year was "Pantomime or Nursery Rhymes" and I have to say the outfits year on year are just getting better and better!!!! 2ND PALCE: Carol Rees, Lynda Coburn, Mary Ravey, Sue Holder & Rose Gardiner. 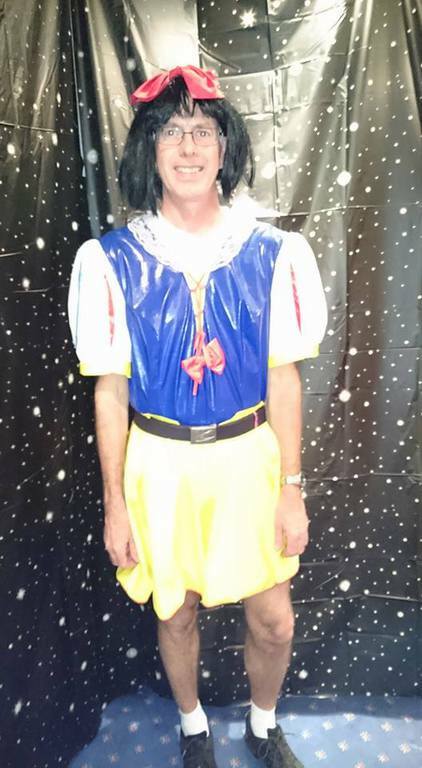 However, we just could not let Stewart Gunnel go with picking up an award for not only his efforts in Snow White but also for his great dancing of Tell Me Ma!!!!! Good on ya Stewart!!! Also during the evening we had a quiz!! BUT i'm going to have to work harder on this next year as there were too many winners for me to type up on here ....... Congratulations to those who won!!! The party continued on til 1:30am where we finished the evening off to "I am the Music Man!!!!" With very little energy left but always enough to do more dancing we had our re-cap workshop, where we went over the new dances taught over the weekend plus a lovely gently new dance called DOCK OF THE BAY - Choreographed by Rachael McEnenany-White. A lovely 64 count 4 wall dance with No tags or re-starts to a cover version of Sitting on the dock of the bay by Otis Reading. If you have not been on one of these weekends before ..... why not??? 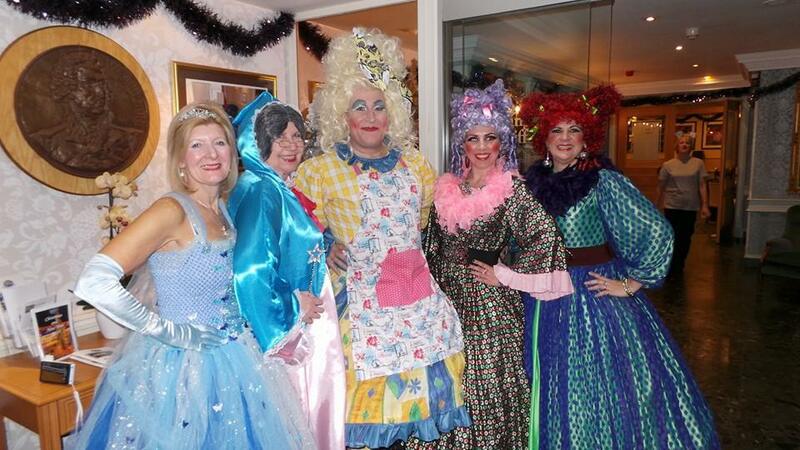 as you can see we have loads of fun and there is something for everyone in there!!!! Check out the Holiday tab for other dance breaks but If you fancy this one for next year the Theme is "Boogie Shoes at The Movies"!!!!! 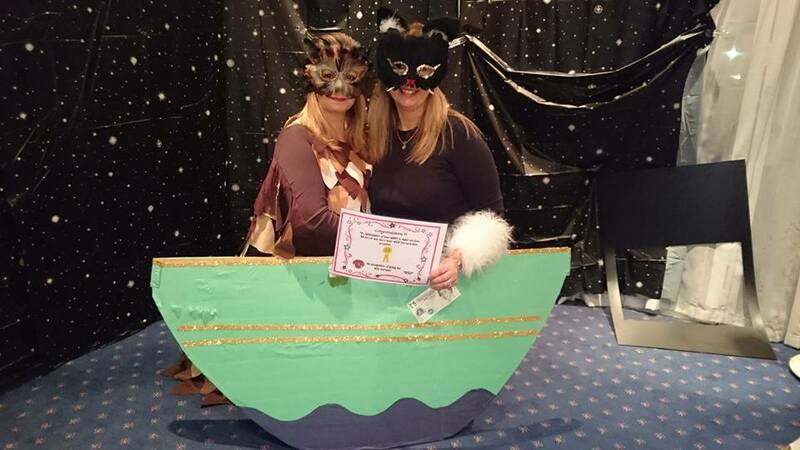 Congratulations to Claire Hawkins who gets 10% off her weekend away for suggesting the theme!!! It is a busy one, so don't delay and get yourself booked on!!! A MASSIVE THANK YOU to Julie Rudge for all the photos you have taken over the weekend. You are very good at capturing the weekend and always take great photos for everyone to see. Over the next few weeks or so I will create an album in the Gallery page for you to see, so keep an eye out for those. Louise Marfel - Thank you for being a great support on the weekend and for teaching "Please Me". You are an absolute pleasure to have on on our weekends and enjoy your company everytime. Lynne Williams (Captain Hook-er!!!) - My co-partner in crime!!!! Love your company and support and thank you for teaching Second Hand Heart, DJ'ing and being there for me!!! Johnny O'Connel - Our new DJ!!!!!! I said it on the weekend I love you and I know everyone else does to!! You are an amazing support on the weekend and the run up to. I just couldn't do it with out you!!! ALL OF YOU!!!! - ................... You are AMAZING!!! and I love everyone of you too!!! Over the weekend we had a Photo Booth set up and I know alot of you had taken some photos yourself. If you would like to share any of your memories with us, please send your photos to boogie_shoes@live.co.uk and I will put them in the Gallery!! !